Celebrating its 14th year, Billy Sims Barbecue is a 50+unit, Tulsa-based fast casual concept serving premium barbecue and traditional sides. Founded by 1978 Heisman Trophy winner Billy Sims, and entrepreneur and retail expert Jeff Jackson,Billy Sims Barbecue is the third largest fast casual style barbecue restaurant in the U.S. Operating in six states, the Billy Sims Barbecue franchise system continues to grow at a steady pace and is actively seeking franchises for multi-unit deals in states throughout the country. We've got a fun, family-oriented, tailgate kind of atmosphere here and some of the tastiest and most tender brisket and ribs you'll find anywhere! Now you can have my BBQ sauce and seasonings at home and enjoy my special blend of BBQ anytime! 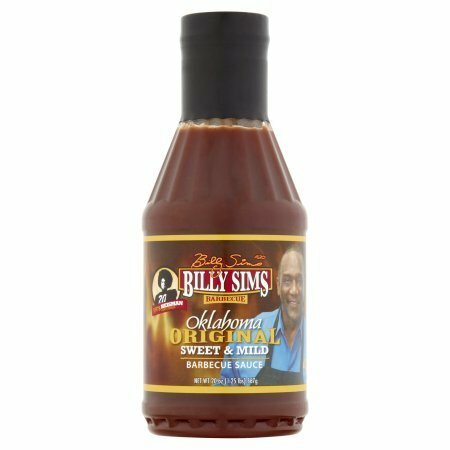 Billy Sims Barbecue has 53 locations throughout Oklahoma, Kansas, Missouri, Colorado, Iowa and Michigan. Please visit our website at www.billysimsbbq.com for a location near you. Sauces, Seasonings and Rib Rubs are available for sale at all restaurants and through participating Wal-Mart and Reasor's Grocery Stores.